Old and obsolete wiring can develop multiple faults, become dangerous, and pose a threat to your family or employees. 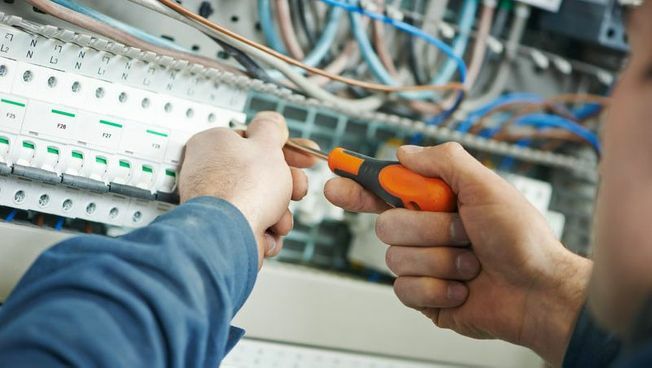 Through my company, Electra Electrical Contractors Ltd, I provide electrical rewiring services throughout Uxbridge, West London. The ideal time to schedule property rewiring is while other renovations are taking place. I will visit your home and upgrade the wiring to comply with current 17th edition wiring regulations. Although a lot of my rewiring work takes place in domestic homes, I also rewire small commercial properties, such as offices and retail outlets. Many storeowners resort to simple patching, which is rewiring the bare minimum that is necessary. However, this is only a short-term fix, and a complete rewire is always the most suitable and cost-effective long-term solution. I am committed to delivering the very best customer service possible. You can expect to receive a friendly and unobtrusive service, and that your home, rental property, or business is always left clean and tidy after the work is completed. As an electrician, I am controlled with my estimates and paperwork, and all of my work is guaranteed for your peace of mind. Additionally, for a small fee, multi-year warranties are available. Contact me, in Uxbridge, West London, to discuss my property and electrical rewiring.